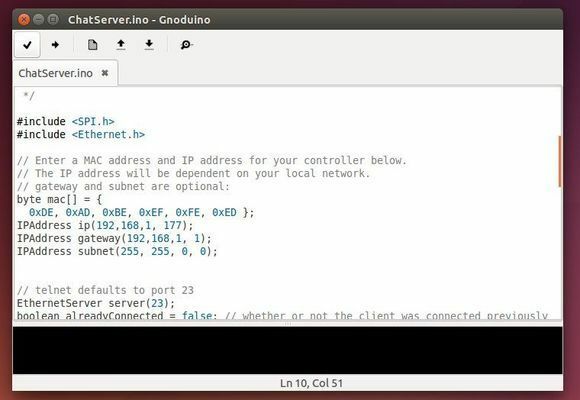 This simple tutorial shows how to install Gnoduino IDE, implementation of well-known Arduino IDE for GNOME, in Ubuntu 14.04 & Ubuntu 12.04. 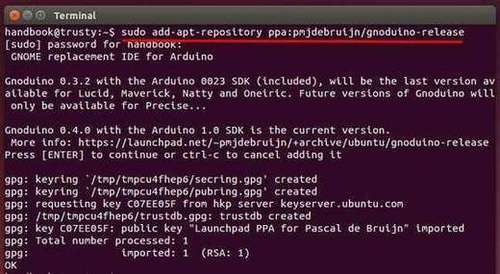 The original Arduino IDE is written in Java however, and that makes for poor integration on the Linux platform, particularly with Ubuntu Unity. Luckily enough someone has been busy to do a simple rewrite of the original IDE in Python and GTK, making a fully Linux native IDE, and it’s called Gnoduino. This implementation is targeted at GNOME and its purpose is to be light. Besides building from source, the IDE is available in PPA for Ubuntu 14.04 and Ubuntu 12.04. Press Ctrl+Alt+T on keyboard to open the terminal. When it opens, paste the command below and hit enter to run. Type in your password when prompt. This will add the Gnoduino PPA into your system. Once installed, open it from menu or Unity dash and enjoy!